The Gourma region of Mali (west Africa). See map below. To secure the future of Mali's "desert elephants" through measures to provide lasting protection of key dry season and migration habitats, reduce human-elephant conflict, and counter poaching. Mali's "desert elephants" are the northernmost population of elephants, one of just two elephant populations adapted for deserts, and undertake the longest elephant migration in the world. 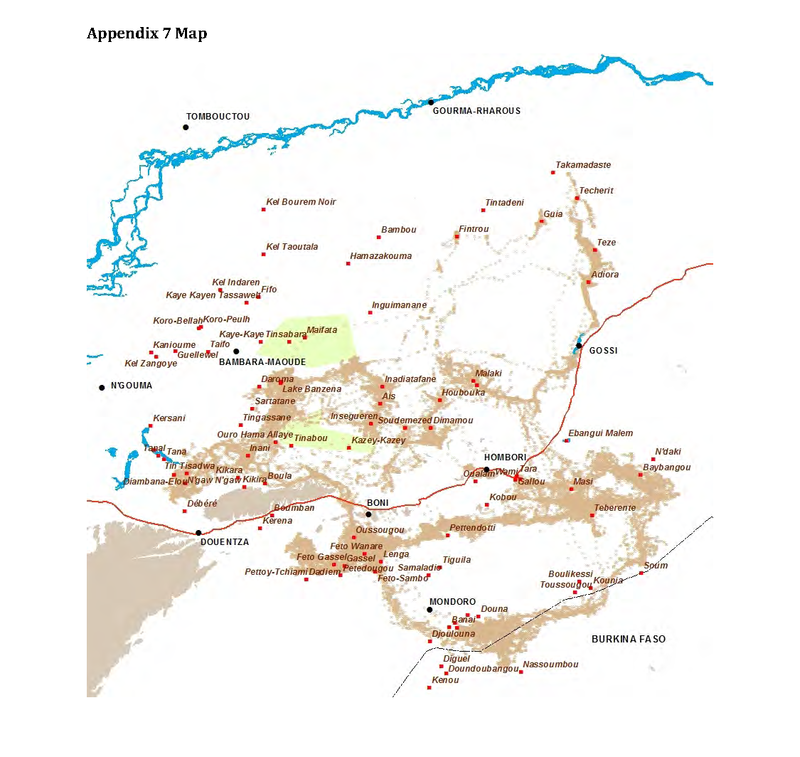 To cope with the widely dispersed and variable nature of the region's water and food resources, the population has evolved a unique nomadic strategy that includes a migration spanning over 3 million hectares. Dr. Susan Canney, project leader, and Nomba Ganame, the project's field manager, have pioneered an approach to community-based natural resource management that is succeeding in protecting natural resources for elephants and people. The Mali Elephant Project was awarded the prestigious Equator Prize by the United Nations in 2017. Key habitats (food and water resources) have been degraded or are under threat, placing the population's future in jeopardy. Since 2015 poaching has been an additional serious problem, and the presence of jihadists presents challenges to which the project has adapted. Firebreaks created project surveillance brigades have saved pasture and vegetation. promoted income earning activities led by women, including the creation of non-timber forest product harvest zones and the establishment of a community shop and cooperative livestock fattening schemes. WILD Foundation and ICFC work with a fine crew in Mali led by Nomba Ganame. Chengeta Wildlife provide expert training and leadership for the anti-poaching unit. 2018 commitment from ICFC: $227,234 (~20% of total), plus additional US$20,000. Our partner for this project is the WILD Foundation (WILD). Based in the U.S. We now work with Chengeta Wildlife who provide expert training to the anti-poaching unit.The government of Mali plays a key role in anti-poaching and responding to the security challenges posed by jihadists who have beset Mali. 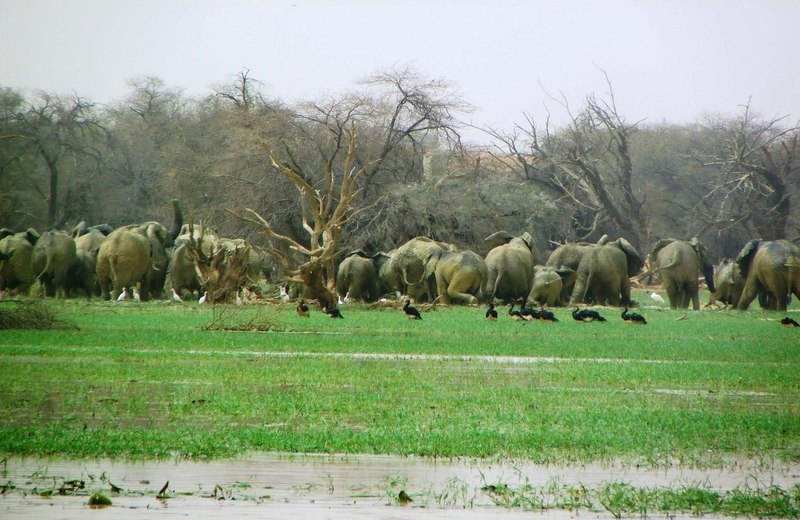 WILD began working in the Gourma area of Mali since 2003, and with Save the Elephants studied the Gourma elephants and their range, migrations and conservation needs. ICFC joined forces in 2010 and is the lead funder for this project. Other funders are/have been: the Governments of Mali and the USA (which funded boreholes and cisterns at the relocation site for the Banzena community); the US Fish and Wildlife Service; the UK government's Darwin Initiative; the Abraham Foundation; SOS Fund; The Tusk Trust; Woodtiger Foundation, the Elephant Crisis Fund, MINUSMA (UN Multidimensional Integrated Stabilization Mission in Mal) and others. Elephants once occupied a largely continuous range across West Africa, from the coastal forests to the Sahara, but are now restricted to small, fragmented and geographically isolated populations, over half of which contain fewer than 100 individuals. Numbering an estimated 350-700 individuals in 2004-2005, the desert elephants inhabiting the Gourma region of Mali are a notable remnant population. Possibly because of the tolerance of local people, the isolation of the region, and their small, low-quality tusks, this population largely escaped the rampant poaching that extirpated populations across the Sahel in the 1980s. The largest population in West Africa, they are accorded high priority in the World Conservation Union's regional elephant strategy. 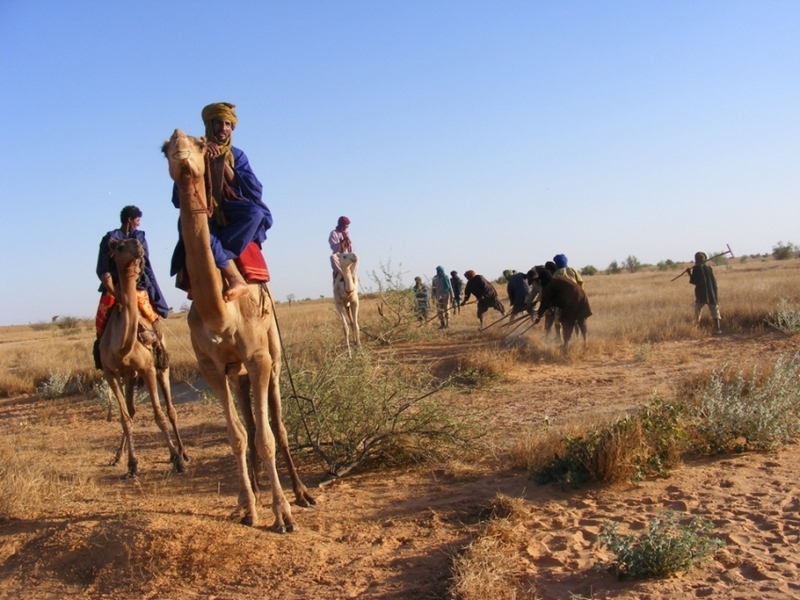 To cope with the widely dispersed and variable nature of the Gourma's resources, the population has evolved a unique nomadic strategy that includes a migration circuit of around 600 km. They range broadly throughout the year from the bend of the Niger River in Mali during the dry season, southward to the border region with Burkina Faso during the wet season. 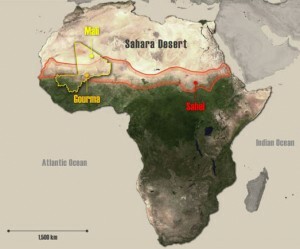 Elephants historically lived in relative harmony with the peoples of the Gourma, but the recent trend of reduced rainfall, along with the spread of agriculture, ranching, settled human communities and water development programs have changed the relationship between elephants, humans and the Sahelian ecosystem. Humans and elephants are now competing more for the same land, crops and water resources. In the last months of the dry season the population was dependent on two large lakes — Gossi and Banzena. Settlement around Lake Gossi in the 1980s ended its use by elephant herds. More recently, Lake Banzena has come under pressure from transient cattle herders and a new settlement of several hundred people who moved to the area following the installation of a well. In the 2000s, studies detailed the migration and ecology of the Gourma elephant population1 and elephant-human conflicts at Lake Banzena2. A surprise finding, for example, was that 96% of the cattle using Banzena belonged to "prestige herds" owned by wealthy urban-dwellers. A key conclusion of the studies was that Lake Banzena had to be freed from human use to ensure its continuance as critical habitat for elephants. This has been a key achievement of this project. Protect natural resources in key strategic places, while maintaining the morale of our existing community partners. One of the first priorities for this project was relocating the recent human settlement at Lake Banzena. The settlers were agreeable to relocating to an area of suitable pasture if water infrastructure could be provided there. The relocation was completed, along with provision of water and training for managing water and pasture resources at the new site. In addition to improving water levels in the lake for the elephants, the relocation provided a cleaner drinking water supply, with the families at the new site reporting that stomachaches ceased since drinking water from the pump. A new forestry post was established at Banzena for monitoring the area. Update: Unfortunately, during the lawless period of conflict in the region, the boreholes were senselessly sabotaged by jihadis and a bridge and dam were destroyed at a critical section of the Gossi river. The breach of this dam drained water from the lake and also from lakes in the drainage to the north, vastly reducing the area available for use by herders from the river to the north. Combined with poor rains in 2013, this increased pressure on resources and potential conflict between communities and with elephants. ICFC has provided support for timely repairs of the boreholes, but since then, theft of solar panels powering the borehole pump ended the supply of clean water, with the result of people moving back to Lake Banzena. We are addressing this situation. The project has advanced elephant conservation through community and inter-communal conventions that designate areas as protected elephant habitat, establish rules for what activities are allowed and not allowed along the elephants' migration path, and put in place community structures for monitoring and enforcement. These local agreements have formal state recognition and the force of law. As project leader Dr. Susan Canney explains, they are "the core part of the social process at work". The official designation of Brigades de Surveillance (aka eco-guardians) to protect the elephant reserve at Lake Banzena from human use (with brigade activities coordinated with government technical services). Now, in 2017, we have over 600 brigade members. In addition, hundreds of young men have volunteered to help in providing information about the elephants, their movements, and the armed groups. Virtually all the young men who didn't take up arms are either a member of a brigade or one of these volunteers. Another threat to habitat is what we term "abusive tree cutting", which is the cutting of branches from living trees to provide forage for livestock. Local communities understand that this activity is unsustainable but need a level playing field in which no one is allowed to do it. The project helps bring this about by organizing community meetings at which local conventions (agreements) are formulated and by having our surveillance brigades enforce the rules. Every year the Gourma loses much of its resources in pasture and forage to bush fires which sweep through the grassy areas during the dry season when the grass is tinder dry. These are generally caused accidentally from activities such as tea-making, or smoking, but in the south, agriculturalists may start them in order to prevent the transhumant cattle herds from staying in their area. A pastoral reserve was created to ensure that there is pasture through the dry season, but it needs to be protected by fire breaks. These take a good deal of effort to construct but are very effective if done properly. They also require a great deal of community organization to bring differing clans and ethnicities to work together. Supporting this activity is a good way to instantly increase the amount of natural resources available to the population. Each year, hundreds of kilometers of firebreaks are created. Educational workshops and meetings related to elephants, ecology and conservation, preparing the groundwork for elephant management planning. The project has facilitated meetings in which communities assemble to collaborate on protection of elephants and their migration route, and to resolve conflicts between herders, farmers, and elephants. Outreach with various levels of government has gained support for the project and has allowed us to engage in wider planning processes to protect elephant habitat. Since the liberation of the north in January 2013 by the French, we have aimed to support community reconciliation at the grassroots. In the past, well-intentioned aid and reconstruction has created worse conditions over the long term for the environment and for the elephants. For this reason, the idea of a national workshop was born. Held in 2014, the workshop was attended by representatives of all levels of government and enabled a frank and open exchange of information. The resulting recommendations were taken to the donor community. Rebel and terrorist groups and now bandits derive income from elephant/ivory poaching. Our anti-poaching approach is now a "war-tested" model of community engagement and stabilization that has protected the elephants and secured other key natural resources while providing employment for young men and empowerment for community elders. These efforts continued despite the interruption in the national government presence in the region, the control of the area by militias, lawlessness, and a proliferation of firearms. Following a surge in poaching early in 2015, we mobilized significant support from the Elephant Crisis Fund and UN peacekeepers, and worked with local military commanders to organize patrols, with the result that poaching stopped apart from one outbreak at the end of October/beginning of November. This project is succeeding. Malians take pride in their elephants and have proved receptive to measures to accommodate their needs. Communities are enthusiastic partners in the process and persevered in their engagement with the project through a period of extreme adversity. We are establishing the foundations of an approach that can be adapted and replicated throughout the elephant range and beyond.